In efforts to get more children to use helmets when bicycling, local police are watching for bicycle riders, especially children, who are using helmets while riding bicycles, scooters or roller-blades. Randomly, police officers will be passing out “tickets” — or coupons — to those children. 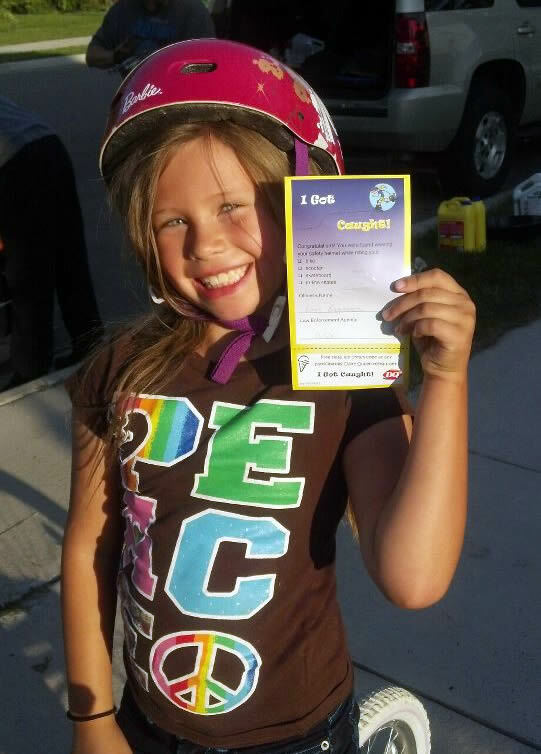 The tickets congratulate the rider for wearing a helmet and are redeemable for a free ice cream cone at any area Dairy Queen.